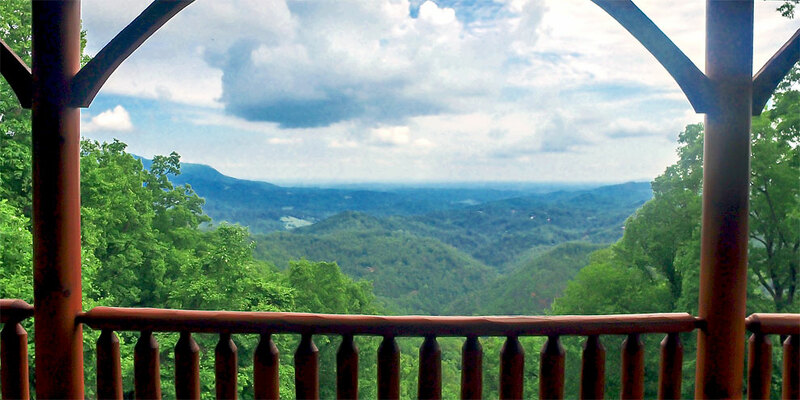 When you arrive in The Preserves Resort, you will immediately notice the unbelievable views. You will get the sensation of actually being in the middle of the mountains. 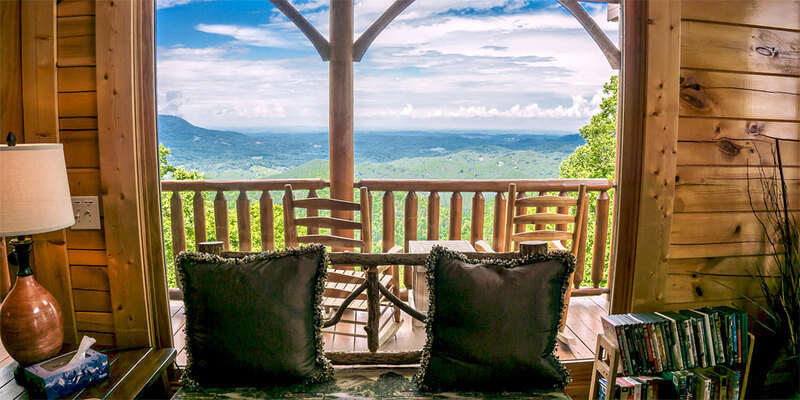 Whether you are seeking muscle-soothing relaxation, sweeping mountain views, or more time with family and friends in a luxurious yet welcoming and homey atmosphere, “Kiss The Clouds” will leave you with a deep feeling of awe and serenity. 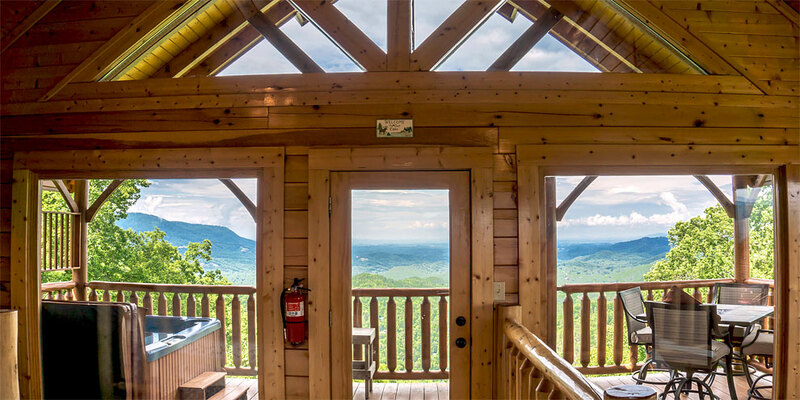 • Main level features an open floor plan with large glass windows to let the sunshine in and to enjoy the breathtaking Smoky Mountain views. • Spectacular views can be appreciated from almost anywhere in the cabin. • Vaulted cathedral ceilings give the upper level an open airy feeling. • Tongue and groove walls and ceilings throughout. • Living room, dining room and king master suite on the main level have beautiful hardwood floors. • Main level king master suite with its own private bath. • Full size galley style kitchen has stainless steel appliances, cement tile floors and everything you will need to prepare your meals – except the food and spices. • Handsome dining room table has seating for six with two additional stools. 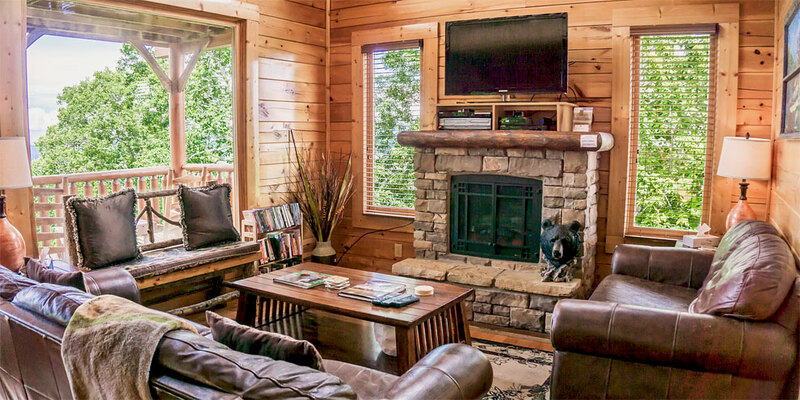 • Cozy stack stone electric fireplace and large flat screen TV in the living room. • Billiards table, foos ball, board games, multicade and PlayStation on the upper level where the whole family can play and enjoy some quality time together. • Also on the upper level is a small children's sleeping loft. Your children will enjoy having their own little space. 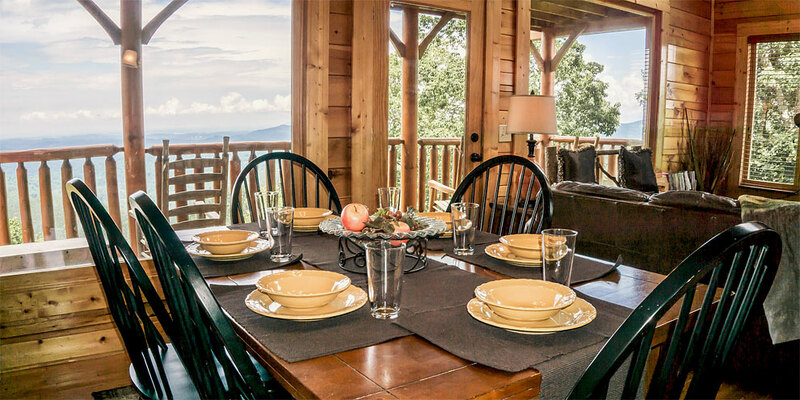 • The upper level deck has a hot tub overlooking Sevierville and Wears Valley. 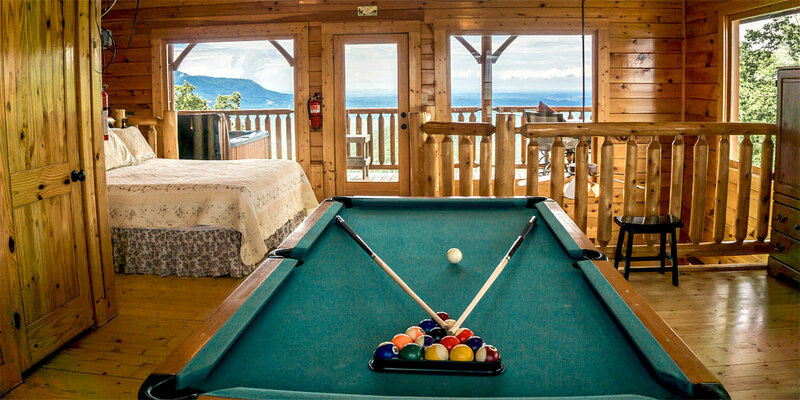 • Great place to relax after all of the activities in the Gatlinburg / Wears Valley / Pigeon Forge area! 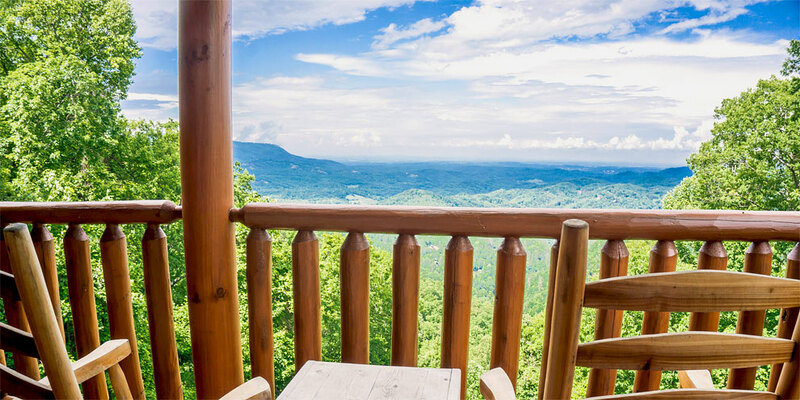 Whether you are looking to enjoy, hiking, shopping, parks and amusements, or want to simply get away to spectacular views, your vacation in our mountain retreat will satisfy. To get a Rate Quote, enter your “Check In” and “Check Out” dates. Press the ”Check Availability” button. To book these dates, click the “Book Now” button. The Rate Quote will include the nightly rate, a booking fee, a one time cleaning fee per stay, (a pet fee where applicable) and taxes. Rates are subject to change until reservation is confirmed.